Leading Manufacturer of telesis fqd100 fiber laser marking machine and telesis vari-z fq30 axis laser marking systems from Mumbai. Telesis is proud to present the innovative, patented FQD100 dual beam, pulsed fiber laser system. This system is suited to applications that require rapid processing over a wide range of materials. 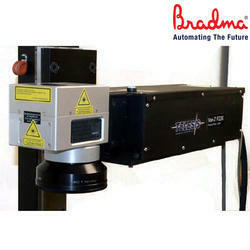 The dual beam deflection system enables increased throughput over single head laser systems. Unique to this system is the ability to mark in two separate fields, with the flexibility of independent parameter control for each marking head. It is possible to mark with one beam and simultaneously use the second for a cleaning pass, or simultaneously mark the first half of a serial number with one beam and the second half with the second beam, or to combine the two beams on a single pattern for efficient material removal. One beam can do a cleaning pass as the second beam follows directly with laser mark. FQD100 can be customized to meet the application needs. Perhaps a 10 watt and a 20 watt mark are required. The FQD100 can be delivered in many different configurations based on the utilization of two individual sources. The innovative, compact and flexibleVARI-Z Series of solid state laser markingsystems are perfectly suited for advanced applications that require the processing of non-flat parts, multiple or uneven surfaces. The 3-Axis beam deflection systems enableprocessing in three dimensions. The focusing optic is galvo motor-driven, enabling it to quickly generate continuously variable stepwise image field sizes and thelongest standard working distance available in the industry up to a total focused depth of 78mm. This allows the user to change the working distance, field and spot size with the same galvo head, all under software control. With 3-Axis Marking, you can maintain a consistent system focus and fluence throughout. The working volume to achieve deeper engraving as well as faster material removal. 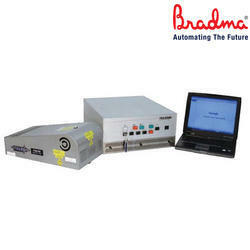 Thisfunctionality can be added to both the EV series and FQ series of laser markers.